In this follow up post I mention 3 other sessions of the afternoon of the TDS. 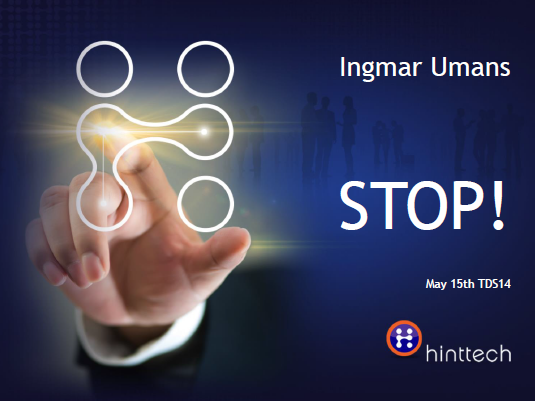 Lightning Talk Sessions - Ingmar Umans - Stop! This lightning session from HintTech colleague Ingmar was about better interpretation of the customer needs: ‘STOP building what the customer asks’. We as developers tend to start running in solution mode when a customer is asking you to solve a problem. Ingmar had several good examples in which this could be the wrong solution for the wrong problem. You could better ask the customer ‘Why?, why?, why?’ several times to get to the bottom of the customer business purpose and the real customer needs. So spending more time in analysis of the customers business / budget / politics / mindset or habits will result in a better project delivery in the end. Programs: a collection of one or more Assets. Distributions: the combination of a Program and a Outlet. 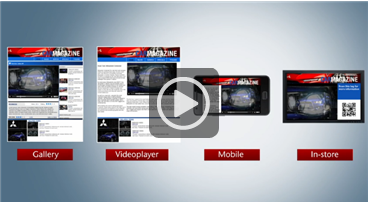 This is published and used by the end user. 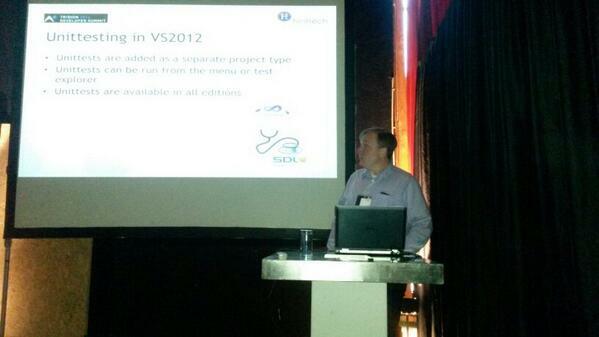 This session from HintTech colleague Bjorn was the last of the day, but very interesting! Bjorn showed us another way (than Dominic) for unit testing the Tridion Building Blocks by faking Tridion using a Custom Rendering Engine. This enables us to do unit testing without having a full SDL Tridion installation on a developers machine. The (test) data still comes from an external Tridion database. After explaining all the details of his endeavors, he should us that it works like charm. Important to note: Since it’s not supported by SDL, it could be that every Tridion version 2009, 2011, 2011SP1 can have different obstacles to overcome. The presentation and code used during the demo is available on Github.